When it comes to Batman, he has a vast array of villains in his rogues gallery, but none of them quite as sympathetic as Mr. Fries. 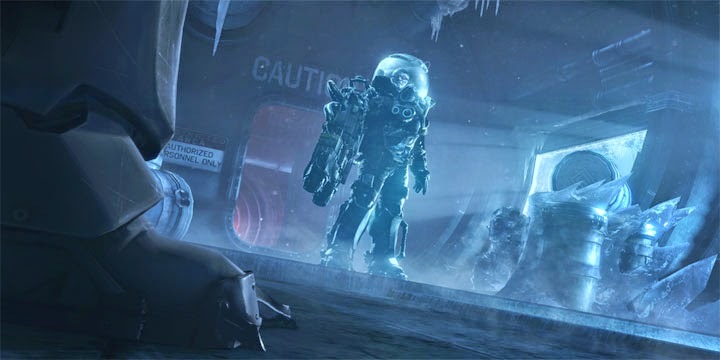 In this Arkham Origins DLC we are given a retelling of the Batman: The Animated Series' origin story of Victor Fries, the man who would become Mr. Freeze, from the absolutely outstanding episode Heart of Ice. Paul Dini wrote the episode and made one of the gimmicky bad guys into someone we could relate to- someone Bruce Wayne can relate to. He's lashing out at the person responsible for almost killing his wife. The story goes on here unchanged, which is a pleasure because Dini did a fantastic job. It starts out with Bruce Wayne in Wayne Manor (finally, we get to explore parts of it) and Freeze appears to abduct Humanitarian of the Year award winner Ferris Boyle. Along the way to retrieving your Batsuit you must fight your way through the Manor, and enter the Batcave, then for some reason fight your way back through the Manor. Once that's done a chunk of Gotham is opened for play- not the whole city. Vicky Vale makes an appearance and the Penguin is up to his arms dealing again. For collectibles there are a slew of Anarchy tags to find and a side mission with Anarchy's men wreaking pathetic havoc around the few still explorable portions of Gotham. There's also another side mission to thaw out frozen victims with the new EX Suit's thermal gloves, which replace the shock gauntlets. With the new gauntlets we eventually get a couple other substituted weapons and costume. We now get the conveniently timed EX Suit and thermal batarangs. Oddly enough these things don't become available until roughly halfway through the DLC. The glue grenades are now gone and are not replaced with Arkham City's Cryogrenades, which is unfortunate for the stealthy players. They do address why they are gone in the dialogue which is a nice little touch. Combat is the same old stuff- the same combat and predator challenges in place after place. As for the Freeze boss battle itself, it follows in the same vein as Arkham City. Freeze can't be harmed the same way twice. He feels a bit more challenging this time, and the level itself has a larger vertical option for fighting. It might seem to be another copied thing in the game, but it's done well enough here. There isn't anything new in Cold, Cold Heart but I believe it's a good addition. The main game had plenty of stuff to do, but suffered some very large problems, ones that have not been fixed for this DLC either. Honestly, Origins wasn't a great game, but it wasn't completely awful either. Initiation was merely a series of challenges, but Cold, Cold Heart offers more actual gameplay and story. It isn't super long but that can be seen as a good thing as well. It felt like playing an episode of a show. It actually makes me wonder why they didn't just make a handful of these instead of Origins. WB Games Montréal has made something sleek, trim, and worth our time with this DLC expansion. Side notes: I found that if you die or save and quit a certain parts, the mission saves, but you must go back to redo a portion without it telling you to. Such as ***SPOILER*** once you beat up the Penguin Thug to get the codes to enter GothCorp. if you enter then save and quit when you restart you'll have to go back and re-interrogate the Penguin Thug again for the codes. I also found that if you defeat the thug in the My Alibi bar too quickly you cannot interrogate him and need to save, quit, and restart to do it over again. Sure, it's small stuff, but it gets really irritating to have to redo things like that repeatedly.